Red indicates elevated new roadway. Solid yellow indicates all other new roadway. 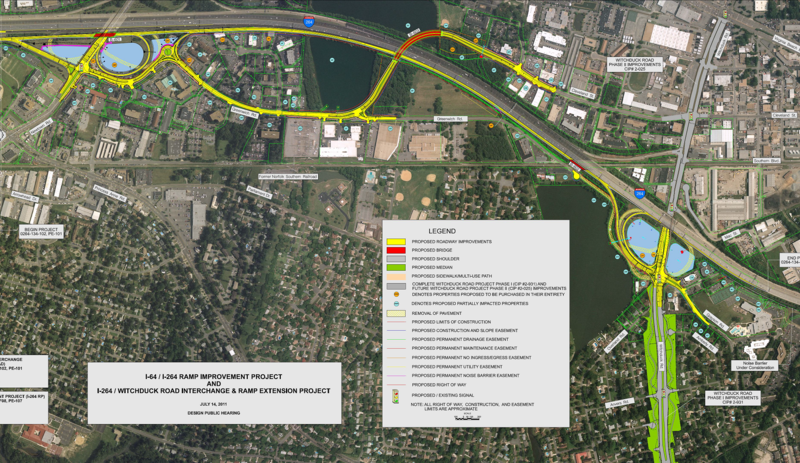 Portions in Phase II marked with a yellow, semi-transparent pattern indicate existing roadway that will be removed as part of the improvements.